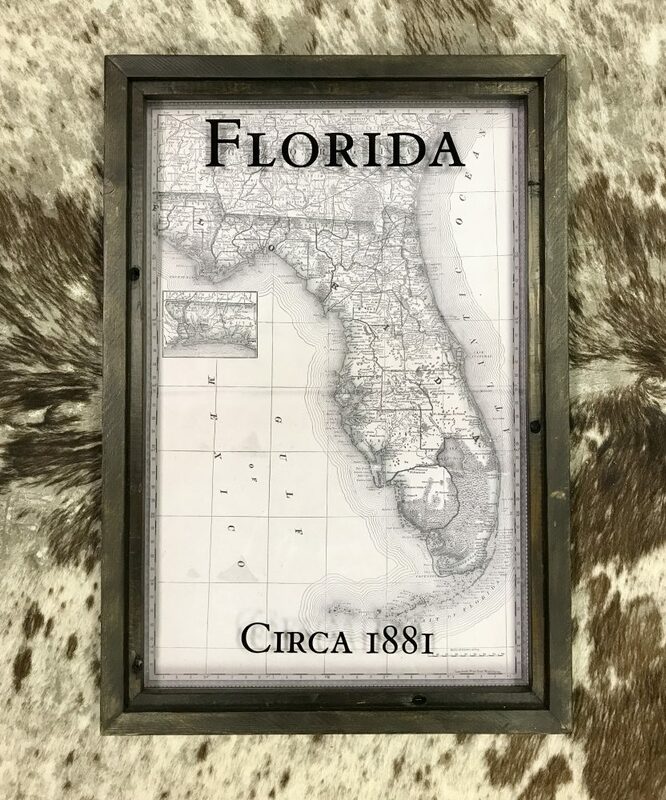 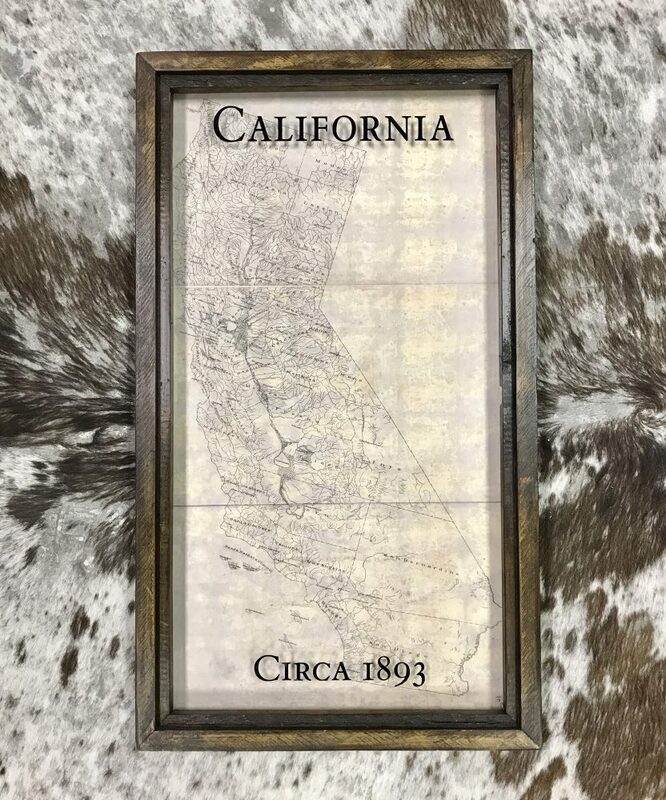 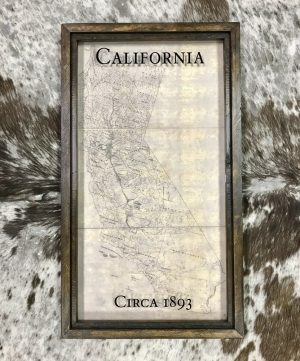 This framed vintage state map is offered in different state options. Newly printed copies of antique and vintage state maps are mounted beneath glass with lettered accents applied. 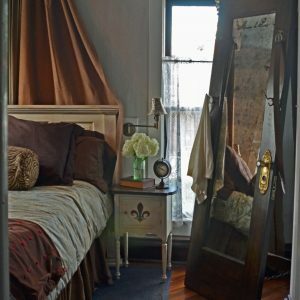 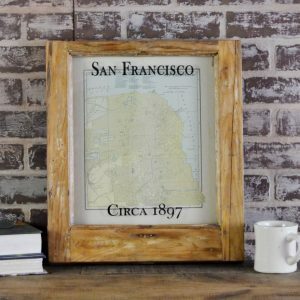 Frames are made from barn wood, and are available in different finishes. 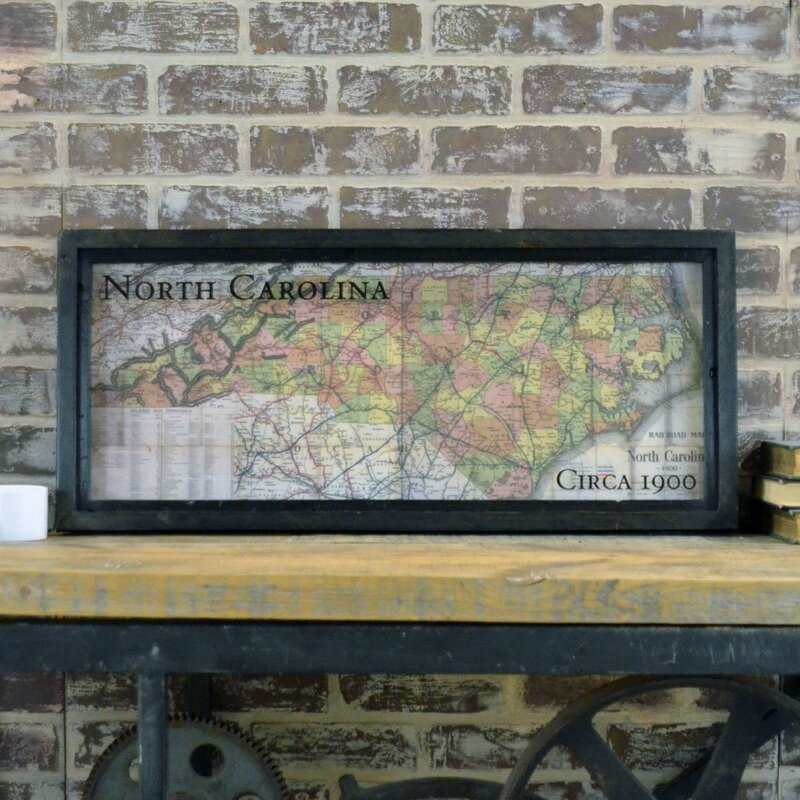 Lettering applied to the glass accents each of these maps. 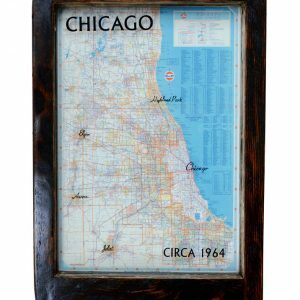 Made to order based on your preferences, these maps require a 3-6 week lead time to ship. 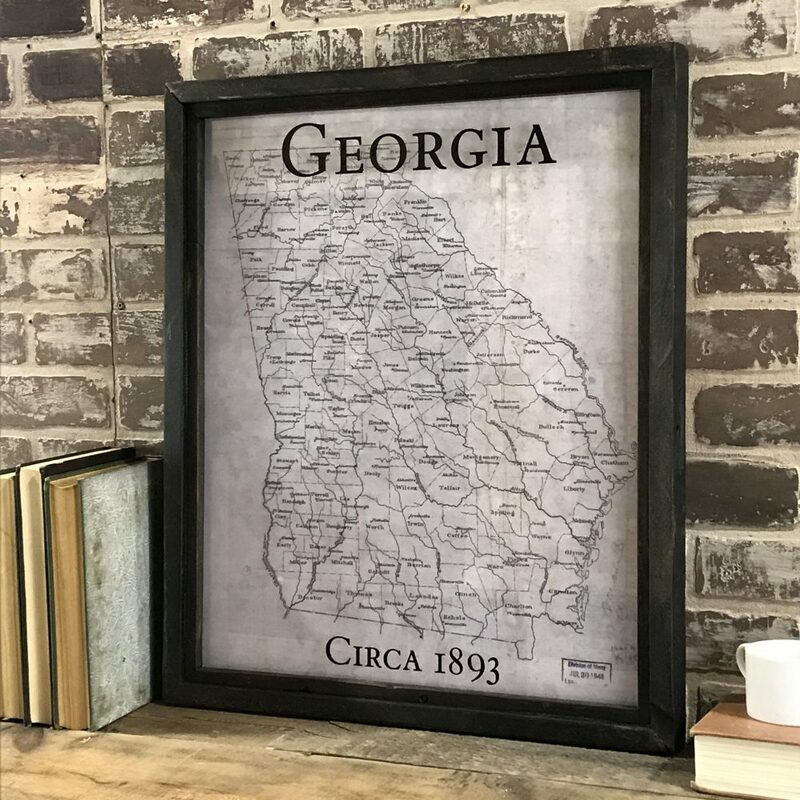 Size is roughly 13-21 x 22-32″ depending on shape of the state. 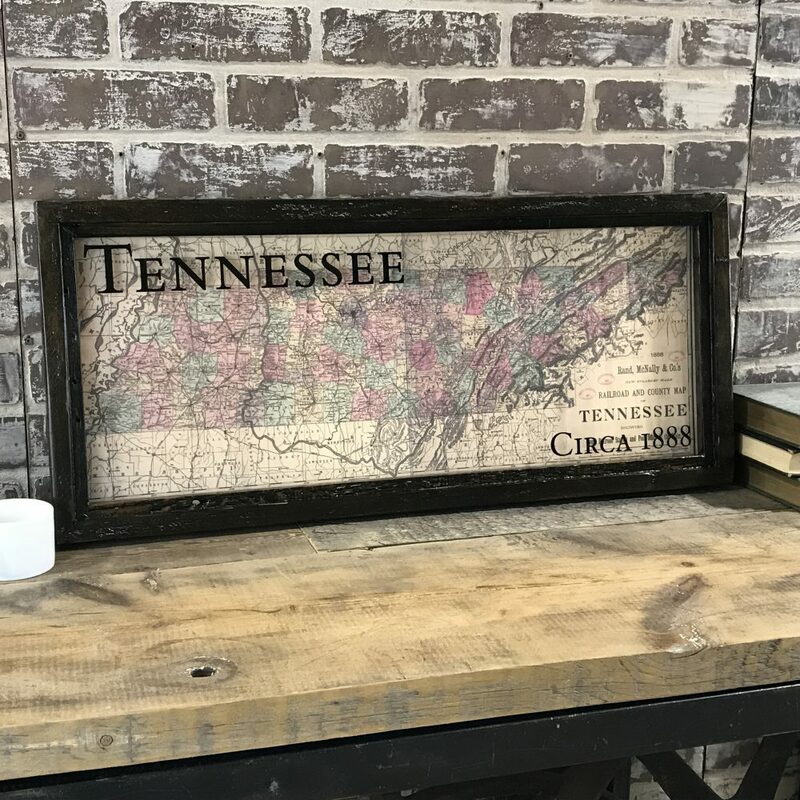 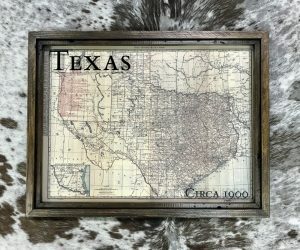 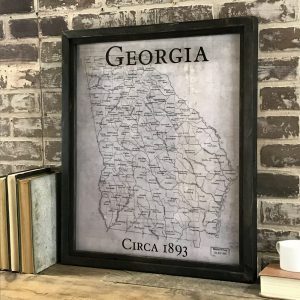 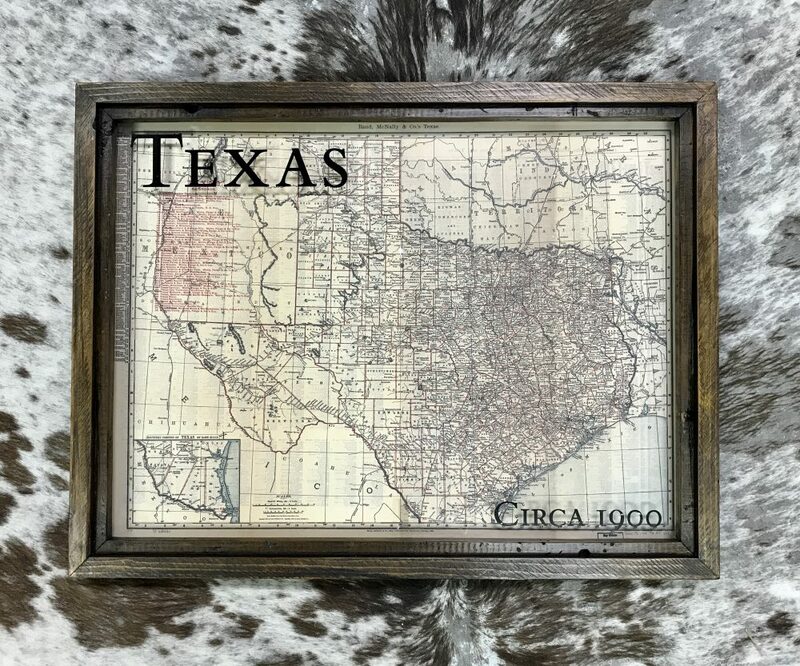 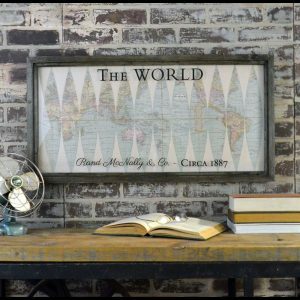 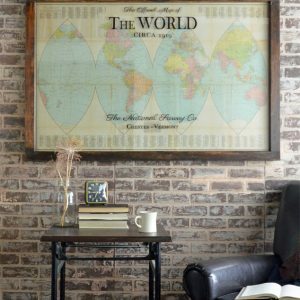 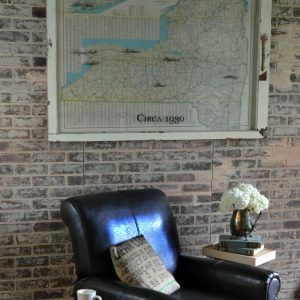 Add some state pride to your home with this vintage look maps, framed in rustic reclaimed barn wood!